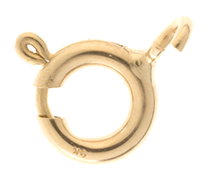 Peekays are delighted to present our range of high quality bolt ring findings. 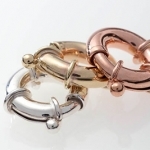 Bolt rings are perfect for a broad range of jewellery projects, most often used to fasten chains, necklaces and bracelets with security and elegance. 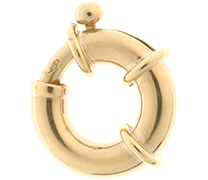 Highly popular items, all our bolt rings are elegantly made with fine detail and strength, making them both easy-on-the-eye and ultra secure. 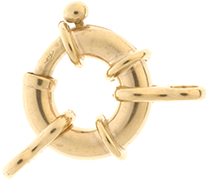 We supply classic, heavy and deluxe bolt rings in yellow gold, white gold, rose gold and sterling silver. Choose the size and carat you prefer, and start creating without further ado.